I utilize the various fillers on the market to very nicely and naturally fill the temple areas of the face. So many patients and plastic surgeons neglect the temple area and concentrate on filling the cheeks, smile lines, lower lids, jaw lines. A dead giveaway to the aging process is the temple which often becomes hollowed with age. 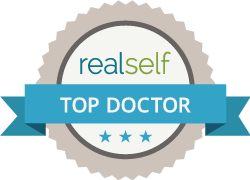 Through a single entry point injection after applying numbing gel, this area is very comfortably and naturally filled with products like Radiesse, Voluma, Vollure, Restylane, or even your own natural fat. Beautiful, natural looking results with minimal to no downtime.